WILSONVILLE, Ore.--(BUSINESS WIRE)--FLIR Systems, Inc. (NASDAQ: FLIR) announced today that it has entered into a definitive agreement to acquire Endeavor Robotic Holdings, Inc., a leading developer of battle-tested, tactical unmanned ground vehicles (UGVs) for the global military, public safety, and critical infrastructure markets, from Arlington Capital Partners for $385 million in cash. 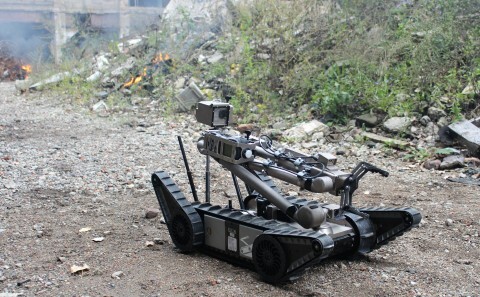 Endeavor’s highly-mobile and easy to operate ground robots utilize advanced sensing and actuation in providing explosive ordnance disposal, reconnaissance, inspection, and hazardous materials support for troops, police, and industrial users at stand-off range. Along with the recent acquisition of Aeryon Labs, FLIR has significantly expanded its unmanned systems capabilities.